If you love Led Zeppelin then this is the show for you! It’s getting exciting at Red Rocks Amphitheater as fans get in line to grab tickets for this unmissable show! 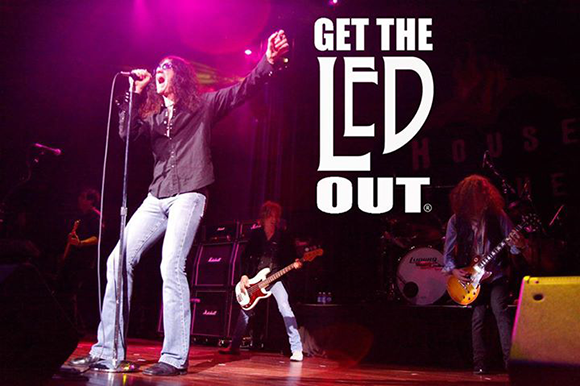 Of course, we’re talking about Get The Led Out – Tribute Band! Now confirmed and on sale, here’s your chance to catch them on Thursday 27th September 2018! Lead vocalist Paul Sinclair has been performing on the east coast for over 20 years. He and long-time friend/guitarist Paul Hammond have taken their original hard rock group “Sinclair” to countless venues and released three full-length albums, including their latest “Sinclair”, at one time managed by radio promo legend Joe Reagoso (Warner/Elektra/Atlantic, MCA, RCA) have played many high profile shows and shared the bill with such notable acts as Foghat, Zebra, Savoy Brown, The Bullet Boys, Kevin Dubrow (Quiet Riot), David Ruffin of The Temptations and many more.